The Mets march on in their difficult season a day after learning general manager Sandy Alderson had effectively stepped down because his cancer has returned. 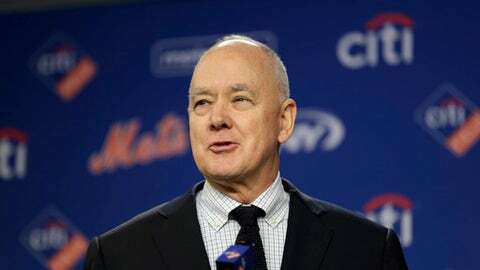 Officially, Alderson will take a leave of absence, but he said Tuesday that he was essentially ending his tenure both for his health and because he doesn’t think he’s been successful enough to continue. Assistant general manager John Ricco and special assistants J.P. Ricciardi and Omar Minaya will run the club’s baseball operations in Alderson’s absence. Minaya preceded Alderson as Mets general manager, and Ricciardi was GM of the Toronto Blue Jays from 2001-09. Indians rookie Shane Bieber is off to a strong start and gets his first interleague test in a game against St. Louis. The right-hander is 2-0 with a 2.45 ERA through three starts, including seven scoreless innings against Detroit last time out. Bieber has 22 strikeouts and three walks in 18 1/3 innings after walking just 18 batters in 274 career minor league innings. The Cardinals will counter with another promising young righty, Jack Flaherty (3-2, 2.50).